Our Father who art in heaven we thank You for Your mercies anew every morning to each one of us. We are grateful for Your grace extended to us in forgiving us our sins. Please help us to extend Your grace to others too in our relationships with Your children and those who have yet to believe. Help us to let Your forgiveness and love flow through us that many will see the love of Jesus in us especially to those who are unlovely to us, wrong us, abuse us or discriminate against us. Let us with Your help and strength do what is right in Your sight and according to Your Word, rather than what our flesh would tempt us to do. We remember the Gospel of Barney ministry today. As Barney serves in encouraging God’s people, everywhere, Lord please continue to give him Your grace and discernment to help point those in trouble to Jesus, the only Way, the Truth and the Life. We praise You Lord for Your love is available to all those who will receive. 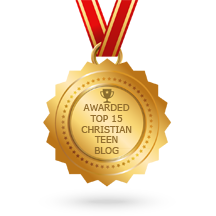 May many be led to Jesus as they read the blogs on ChristianBlessings. We thank You Lord for being with us even as You speak to individuals, calling them individually to Yourself. We thank You for giving hope to the hopeless, healing the sick, answering when Your children call and strengthening the weak. Thank You our Father in Jesus’ Name. Amen. This entry was posted in A CLICK A BLESSING TODAY, CHRISTIAN TAGALOG BLOGS, CHRISTIAN TEENS BLOGS, CHRISTIAN URDU BLOGS, Prayer for ChristainBlessings Encouragers and tagged forgiveness, love. Bookmark the permalink.